Week 45 of this project, and we are trying some beer from Utah. Admitted to the union in 1896, Utah has a rich history in brewing, with many brewers setting up shop to cater to the burgeoning mining industry. While the onset of Prohibition killed off commercial brewing, just like all the other states, Utah provided the final vote ratifying the 21st Amendment. After a few starts and stops, the Utah brewing industry regained steam again in the mid 1980s, growing into what today is a large and successful craft brewing industry. This week, there were three different selections from Utah. 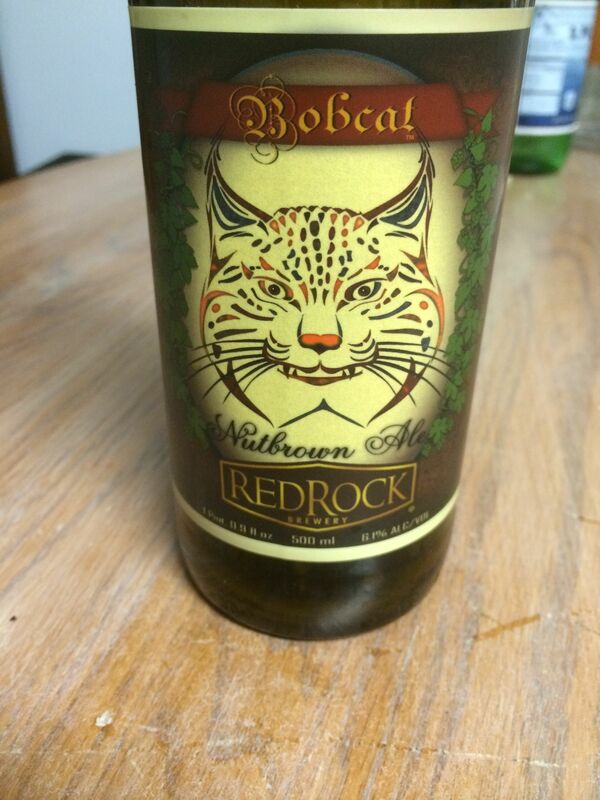 The first one we opened was a Nut Brown Ale from Red Rock Brewery called Bobcat. Located in Salt Lake City, Red Rock Brewing opened in 1994 in what was at the time, the red light district of the city. Since then, the area around the brewery has become one of the hottest places in the city, and Red Rock has expanded their selection to over 45 different brews. The Bobcat was a very effervescent beer with lots of head that didn’t have any distinct taste. I find that the more effervescent beers loose their flavors to the carbon dioxide. Generally, when seeking out a flavorful beer, I tend to go for a lower carbonated beer. This beer was a fine beer, and better than many of the beer sampled over the course of this year, but it didn’t have any hooks to pull me into its world, leaving it slipping into the sea of other ok beers encountered during the project. The next Utah beer we opened was an IPA. Over the course of the year, we encountered many different styles of IPAs. From the extremely hoppy almost undrinkable, to the more caramel and malty tasting breed, where the hops was just a subtle side note. 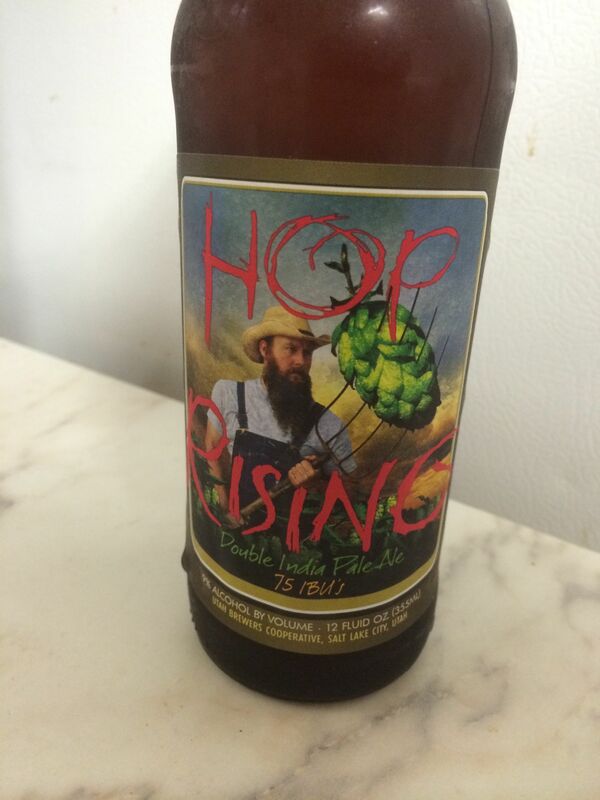 This beer, a Double IPA called Hop Rising, from Squatters Brewery, fell into the latter category. Being a double, I was expecting a big hop flavor. Instead, this beer was sweet and loaded with caramel. Always surprising in an IPA. 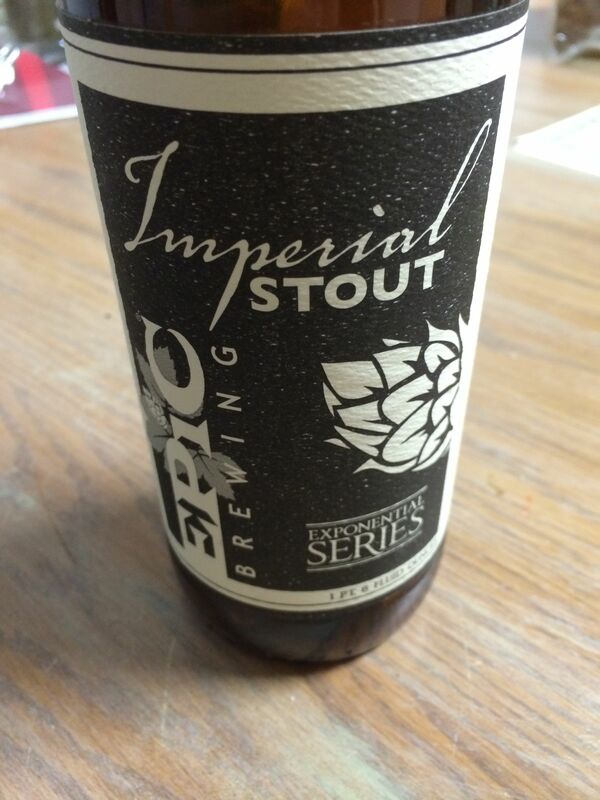 The final beer of the evening was an Imperial Stout from Epic Brewing. Epic has three series of beers: The Classic series, a basic series of brews designed to introduce people to craft beer. An Elevated series that is their showcase series, demonstrating the talents of the brewer. And finally, the Exponential series, a special line of beer designed for the ever-curious. Our Imperial Stout was part of the Exponential series, and was definitely the standout of the evening. Full of chocolate flavors, this beer was rich in taste. While in the glass, it was very flat looking, the sweet but complex smell quickly pulled you in, letting you know that this beer was going to be fun. In the end, this was my favorite beer of the night. In the end, our little sampling of beer from Utah was pretty impressive, and gave us a nice peak into what is going on in Utah, and it tastes good.